Allergies are the sixth leading cause of chronic illness, affecting more than 50 million Americans. Allergy symptoms range from a mildly annoying runny nose to a life-threatening anaphylactic reaction. Fan Yang, MD, at Healthville PLLC, specializes in the diagnosis and treatment of allergies in patients of all ages. If you wonder whether your symptoms are due to an allergy or you’d like medical care for an existing allergy, schedule an appointment using online booking or by calling the office in Little Rock, Arkansas. Allergies develop when your immune system mistakenly identifies a substance that’s normally harmless as a dangerous invader. Then every time you encounter that substance, an immune reaction begins, which includes releasing histamines that cause allergy symptoms. You can also develop allergies to many medications, but penicillin causes the most allergic reactions. What symptoms occur during an allergic reaction? Symptoms vary depending on the type of allergy. For example, hay fever primarily affects your nose and eyes, while contact allergies cause a skin rash or swelling. Food allergies affect your gastrointestinal system, causing symptoms like an upset stomach, cramps, nausea, vomiting, and diarrhea. Medication allergies usually cause wheezing, dizziness, and angioedema, which is swelling under your skin. An anaphylactic reaction is a severe, life-threatening allergic reaction. Allergies to food, insects, latex, and medications are the most common cause of anaphylaxis. When your allergic reaction includes difficulty breathing or low blood pressure (dizziness, fainting, nausea), you should assume it’s a severe, anaphylactic reaction and immediately use your epinephrine pen or call 9-1-1. Before determining your treatment, Dr. Yang identifies your specific allergens. He may perform a skin prick test or an allergy blood test, which is sent to a lab for evaluation. 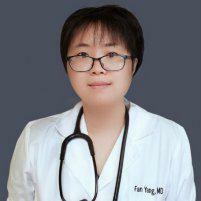 Dr. Yang manages the medications needed to treat your allergy. Depending on the severity of your allergy, you may receive medications like antihistamines to relieve symptoms or immunotherapy to build up your tolerance and diminish or eliminate your allergy.